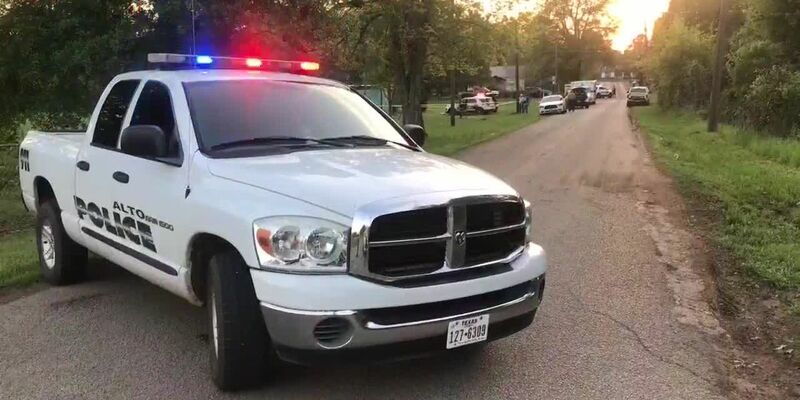 ALTO, TX (KTRE) - The Alto Police Department said they responded to a disturbance Tuesday after a confrontation led to a gunshot being fired. According to a press release, at approximately 4:30 p.m. on April 9, Alto police responded to the disturbance on Palestine Street. Upon arriving to the scene, officers observed a video of the confrontation and determined that a middle-aged white male had in fact discharged a firearm and then pointed the firearm at a woman. The press release said officers made contact with the man and attempted to negotiate and de-escalate the situation for several hours. The man barricaded himself inside the residence and ultimately refused all orders to surrender and come from his barricaded position. The press release said pepper gas was deployed. The release said the man retreated to the bathroom of the residence where he was found deceased from a self-inflicted gunshot wound. No officer discharged any firearms during the incident. The press release said the scene and the investigation were turned over to the Texas Rangers. The release said the name of the decedent has been withheld until notification to his next of kin.